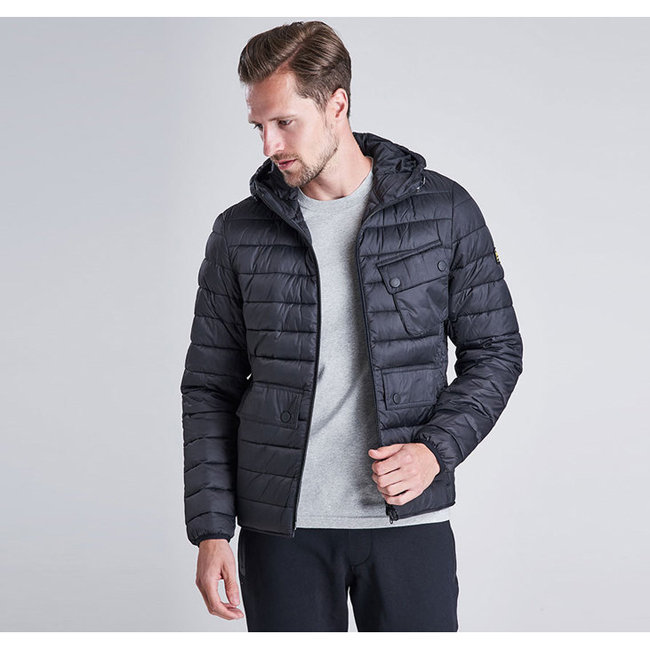 Slim-fitting and stylish, the Ouston is a men's quilted jacket that offers unbeatable warmth and insulation. This winter-ready jacket teams a baffle-quilted outer with 350-gram fibre down wadding, for reliable warmth without excessive weight. A simple two-way zip fastens through to a generous fixed hood, which offers additional protection against foul winter weather. Two stud-close lower pockets provide a perfect place to keep essentials close at hand, while an angled chest pocket channels the iconic Barbour International biker look, and the famous black and yellow badge trims the wearer's left sleeve.